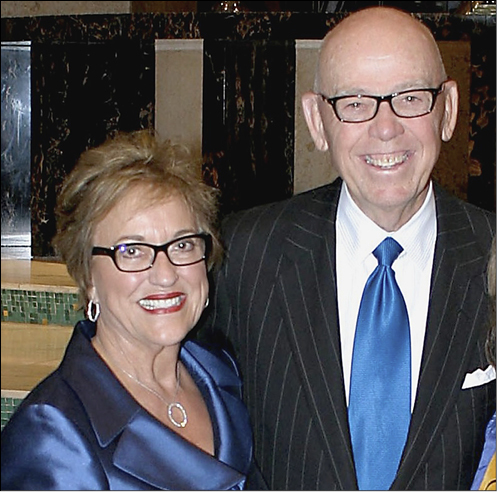 Oklahoma’s Tom and Brenda McDaniel, above, and Bishop Robert and Dee Hayes, lower left, received the 2015 Saint Paul School of Theology President’s Award on Oct. 12 during the United Methodist seminary’s dinner in Overland Park, Kan. 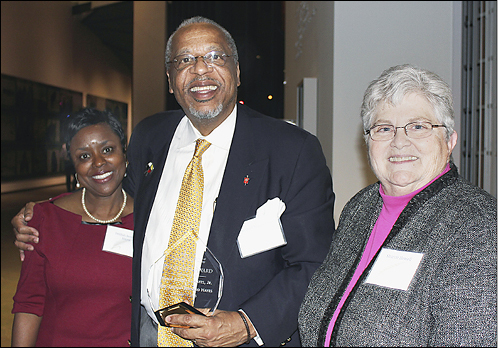 They were honored because "together they made the dream of our Saint Paul at Oklahoma City University location a successful reality," stated H. Sharon Howell, lower right. The program was centered on the parable of the sower from Matthew 13, emphasizing verses 8 and 9: "Other seeds fell on good soil and brought forth grain, some a hundredfold, some 60, some 30. Let anyone with ears listen!"